The Gendex™ GXDP-700™ Series is the perfect solution for progressive dentistry — dynamic, modular and expandable. As your practice grows and your procedure offerings expand, you can upgrade on your timeline and within your budget, seamlessly and affordably. This 3-in-1 system can help you achieve your clinical goals. 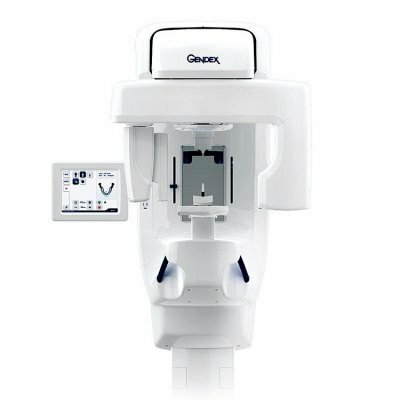 The Gendex GXDP-700 Series allows different types of imaging for various clinical situations, and the modular system can be upgraded to cephalometric, 3D SFOV (small field-of-view), or both. So not only do you have the choice of a full complement of 2D panoramic imaging, you have the freedom to expand as your practice grows. From extractions to endodontics, orthodontics to implants, 3D scans provide valuable information vital to diagnosis and determining the best course of treatment. With an automated 2D/3D sensor exchange, two sensors that rotate to capture both 3D and panoramic, clinicians merely press a button to switch from taking 3D images to 2D panoramic projections. There’s no need to remove the panoramic sensor. The system also features high resolution 3D acquisition mode and award-winning SRT™ technology. We understand the importance of providing a fast, simple and straightforward imaging solution for your team that delivers consistent images to you. With the GXDP-700 Series, you’ll benefit from a powerful product that meets this vital goal — high-quality imaging results, time after time. With built-in functionality and thoughtfully developed tools, including EasyPosition and SmartMotion™, any member of your clinical team can acquire clear, detailed images easily and consistently. This type of repeatability gives your staff the power of confidence and you the power of diagnosis. With the 2D cephalometric upgrade, Gendex offers even more options. Choose a single sensor to move between panoramic and ceph to maximize your investment, or choose two sensors to increase efficiency in your workflow. Your 3D workflow couldn’t be easier. After positioning the patient, use PerfectScout to zone in on the area of interest. This unique feature captures two, low-dose perpendicular images that display on the touchscreen panel. From there, the area of interest can be targeted — simply drag the crosshair into position, and then initiate the scan. GXDP-700 Series is packed with powerful software tools. The intuitive Invivo application, by Anatomage, allows users to quickly navigate 3D scans and provides the tools to implant plan with confidence right from the Cone Beam 3D volume. The final design even can be sent to have surgical guides produced to assist you in the implant placing process.